What to do in Stewart Island. You haven’t fully explored New Zealand until you have ventured south to Stewart Island. On an island which is 80% national park and only has one town with a population of 400, life certainly feels different on the island. Stewart Island is made up of pristine beaches, wetlands and native forest. With that, it’s also one of the best places to see native New Zealand wildlife in the wild, from penguins to kiwi birds. Oh yeah, and it’s one of the best places for stargazing and seeing the Southern Lights too. Ok, Stewart Island is so awesome it’s getting us excited, so let’s move onto this list of incredible things to do on Stewart Island! 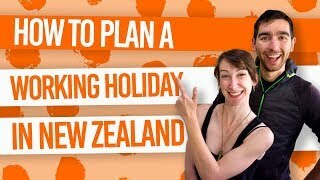 After checking out this list, you’ll definitely want to stay awhile in Stewart Island, so head on over to Stewart Island – Guide for Backpackers to work out logistics. Also, head on over to our list of 10 Free or Cheap Things to do in Stewart Island when you’re on a budget. That’s right, you can do do one of New Zealand’s Great Walks right at the bottom of New Zealand in Stewart Island. Discover the beaches and wilderness of the Rakiura National Park which covers 80% of Stewart Island. What’s more, the Rakiura Track is one of the cheapest Great Walks you can do. Location: Start from either the Rakiura National Park entrance at Lee Bay, 5km from Oban, or from the Fern Gully car park, 2km beyond the Rakiura National Park Visitor Centre. One of the best places, and we mean best places, to see native New Zealand birds in the wild has to be on Ulva Island. A 5-minute ferry from Golden Bay can take you over to the island connected with walking trails into ancient forest than has been left untouched. The island is pest free, meaning that bird life thrives here. Go early morning on the island and chances are, you’ll see a kiwi bird in the wild! Location: Take the ferry from Golden Bay, which is a 15-minute walk over the hill (Golden Bay Road) from Oban. Alternatively, guided tours and cruises are available. Visit Rakiura Jade to carve your own greenstone pendant on Stewart Island. Greenstone is a precious stone to the Maori culture, often carved into various designs with different meanings. Rakiura Jade guides you through carving your own design of toki (see here for an example). Location: Elgin Terrace on the waterfront of Oban. Stewart Island is full of paradise-looking beaches. Clear blue waters, golden sand, uncrowded… You would think you were on a tropical paradise island rather than a sub-antarctic one. A great beach which is easy to reach from Oban is Bathing Beach. Just follow the walking track over the cliffs on the west side of Oban and you’ll be there in 15 minutes. One way to marvel at Stewart Island’s beauty is with a scenic flight. Flights can be taken from Invercargill or right here on the island! Either fly purely for the scenery or team it up with a drop-off at Mason Bay where you can begin exploring the island on the Southern Circuit multi-day hike. We mentioned the Rakiura Track before, which is the perfect introduction to multi-day hiking. However, if you are looking for a cheaper, yet more challenging option in the Rakiura National Park, then consider the Northern or Southern Circuits! More information is outlined in Rakiura National Park – Guide for Backpackers. Stewart Island is known as “Rakiura” in te reo Maori, translating to “glowing skies”, thanks to Stewart Island being one of the best places in New Zealand to see the Southern Lights or Aurora Australis. Even if you don’t catch the pink hues in the skies, Stewart Island is also incredible for stargazing on a clear night. We know, you can grab some fish and chips anywhere in New Zealand, so why would you get some in Stewart Island? Well, locals will tell you that the blue cod from the waters in Stewart Island is better than anywhere else in the world! Try some at the Stewart Island Hotel (the pub) or the Kai Kart. You can even catch some yourself on fishing charters. Location: The hotel is opposite the Oban wharf on Oban waterfront. Kai Kart is on Ayr Street. Yes, just off the coast of Stewart Island, get mingling with the great white sharks! Trips start from Bluff, giving you a thrilling experience diving with sharks. Tours are available from December through to June. Sure, there are many ways to learn about life on Stewart Island: the museum, stay there as part of your working holiday, Wikipedia… But the most entertaining way is to watch A Local’s Tail at the Bunkhouse Theatre. The quaint little cinema shows the pretty hilarious movie of Stewart Island from a dog’s perspective. 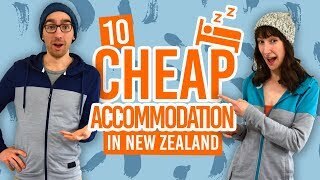 At only NZ$10, it’s definitely worth checking out.